We eat, sleep, and breath VR, and we know that if you're going to game on a Gear VR, you need a solid controller. We don't make the rules, we just give you the best options to follow them. While the latest Samsung Gear VR headsets come with a handy controller, you may still get more out of your gaming experience with a full gamepad. 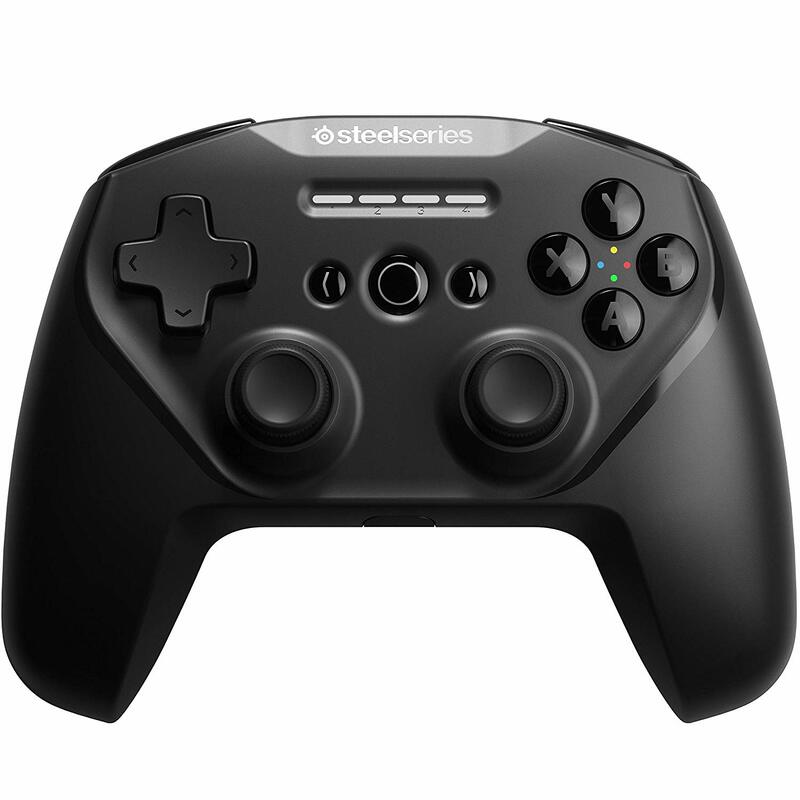 The Stratus Duo is the latest Android controller released by SteelSeries and delivers top build quality and comfort which are important when you're playing with your eyes covered. SteelSeries actually has two controllers featured on this list, but ultimately the Stratus Duo is the best option for most people because it does more without requiring AA batteries. If you want the best overall gamepad for your Gear VR, SteelSeries is where you want to be. Durable, comfortable, and compatible with your phone and your PC, this controller will give you the gaming experience you deserve. 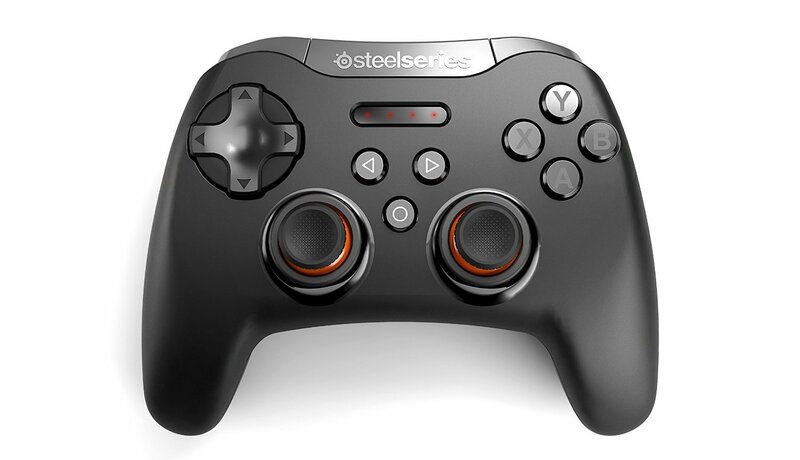 SteelSeries has consistently delivered the best gaming controller for Android and the Stratus Duo continues to raise the bar on what gamers should expect. It feels solid and comfortable in your hand and is a bit more technically advanced than the Stratus XL, offering a rechargeable battery that can deliver up to 20 hours of gameplay and can also be charged while in use. You also get a USB dongle that allows you to quickly connect to a PC via a stronger 2.4Ghz wireless connection for VR gaming on your PC rig. Is it a good time to buy the SteelSeries Stratus Duo? The Stratus Duo was just recently released so it's got that "new controller" price tag — but it also offers that wireless dongle that lets you easily connect this controller to a PC. If that's not a relevant feature for you, the Stratus XL might be a better choice for saving some money. While the Samsung Gear VR comes with its own controller now, there are plenty of VR games you play on this headset which require or are enhanced by a good ol' fashioned gamepad. It's just not as enjoyable to play Minecraft with a motion controller, which is why Samsung continues to support games and gamers who prefer this gameplay mechanic. Everything you need in a gamepad you'll be using without your eyes. The SteelSeries Stratus Duo borrows the best features from Sony and Microsoft's controllers and it's a near perfect blend of ergonomic design and familiar button and joystick placement — all important qualities for a controller you plan to use with VR. You'll want your fingers to naturally fall on all the buttons and triggers and the Stratus Duo feels perfectly comfortable. Once paired to your phone it will connect quickly when it's time to game. you can expect up to 20 hours of gameplay on a fully-charged battery, and you're able to use the controller while it's charging. If you've also got a VR set up on your PC, you can use the 2.4Ghz dongle to avoid any complications that may arise with multiple Bluetooth connections. Samsung and Oculus designed the Gear VR to be played while sitting down, just like a console. In fact, it's kind of like a console you wear on your face if you think about it. That means a lot of your games are going to be best played while seated comfortably. Sitting comfortably and holding your hand to your temple to tap the buttons on the side of the headset don't exactly go together well, which is why you can use a gamepad with almost everything. If you're going to use a gamepad while seated comfortably, it might as well be a gamepad of the same quality as what you'd find attached to an Xbox or PlayStation. SteelSeries offers exactly this for Android smartphones with its Status line, and the Stratus Duo is the latest and greatest controller for playing with your Samsung Gear VR. Not everyone wants to spend full price for an Android/PC controller that you're maybe just buying for the lone purpose of mobile VR gaming. Here are our alternative controller picks for the Gear VR. Previously our top pick, the Stratus XL is still a great option that's comfortable in hand and easy to pair. Sure, it may require two AA batteries to operate, but you can expect this controller to deliver up to 30 hours of gameplay on a fresh set of batteries. The controller might get a bit unresponsive when the batteries are low. Fortunately, it's easy to check the battery life which is indicated by the LED lights when you power on the controller, or you can tap the battery button on the top for a quick battery notification: four lights means the batteries are fully charged and one light means it's time to swap them out. Remappable buttons. Built-in phone mount. Premium design. 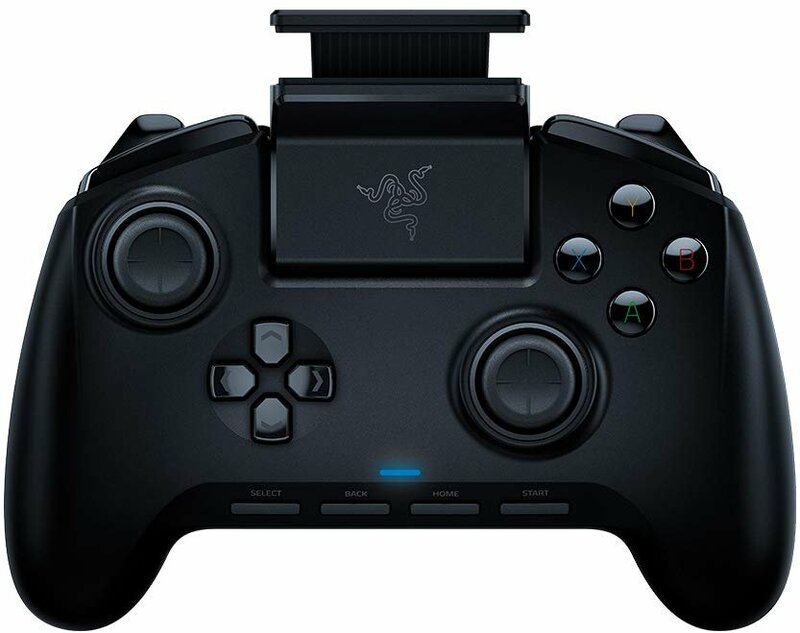 The price for the Razer Raiju Mobile might initially put you off, but for your money, you get one of the best Bluetooth controllers for a smartphone that you will ever own. Features include remappable buttons and an accompanying app that lets you set up custom control profiles for games. It's also got a sturdy phone mount and can remember and instantly pair with two different phones over Bluetooth or through a wired connection. This is the controller to get if you love to use Samsung Gear VR and also regularly game on your phone with emulators or love to play Fortnite on your phone. It's well worth your money if you know you'll actually use it often. If you want a better Gear VR gameplay experience without spending a ton, Beboncool has you covered. It's portable, it's plasticky, and it's way cheaper than most other Bluetooth gamepads that play nice with the Gear VR. The battery is rated for 12 hours of constant gameplay, but the auto-off feature ensures you'll only be using power when you're actually playing. You really don't need to spend much for a decent controller for gaming. It's compact and portable with a built-in phone holder and other features that make it a great contender for finding a home in your bag. When you consider comfort, design, and compatibility, the SteelSeries Stratus Duo simply offers the best functionality and value. The fact it also works with PCs using the 2.4Ghz wireless dongle is just icing on the cake. SteelSeries makes great gaming accessories, and the Stratus Duo is their latest and greatest controller for Android. Russell Holly is a Contributing Editor at Android Central. He lives for the shiniest new thing and loves explaining its potential to improve your life. Whatever you do, don't tell his spouse about the drawer full of tech under the bed. Marc Lagace is the Games Editor at Android Central. He's been a gamer for most of his life and actually took a university course on Video Game Theory — which he aced! You can reach out to him on Twitter @spacelagace.